CURRICULUM OVERVIEW: For the latest Curriculum Termly Topic for Reception Classes please see link below. Reception Shared Learning Event: A thank you to all the parents and carers who came to the Reception classes event on 13th February and participated in our Valentine’s Day shared learning afternoon. Reception Christmas Story at St Martin’s Church: On 19th December both Elm and Ash classes visited St Martins Church and enjoyed a Crib Service led by Rev Julie Fleming. Some children had the important job of acting out the story which they did amazingly. It was a very special trip and the children really enjoyed seeing the church decorated festively. Many thanks to all our parent/carer helpers who walked to the church with the classes, your help is truly appreciated. The Reception children walked to St Martins Church where Mr Elliott, Church Warden, told them all about St Martin's. Afterwards they went down to the War Memorial on the High Street to see the poppies. The children behaved beautifully during their first trip. Well done Reception! Puxton Park Topic Visit 19th October: The Reception Children enjoyed a visit from Leah the calf and a Chinese chicken called Carol last Friday. The children have been learning about ‘where milk comes from’ as part of this Terms Topic. Thank you to the Puxton Park staff who came along to St Martin’s to tell the children all about it! 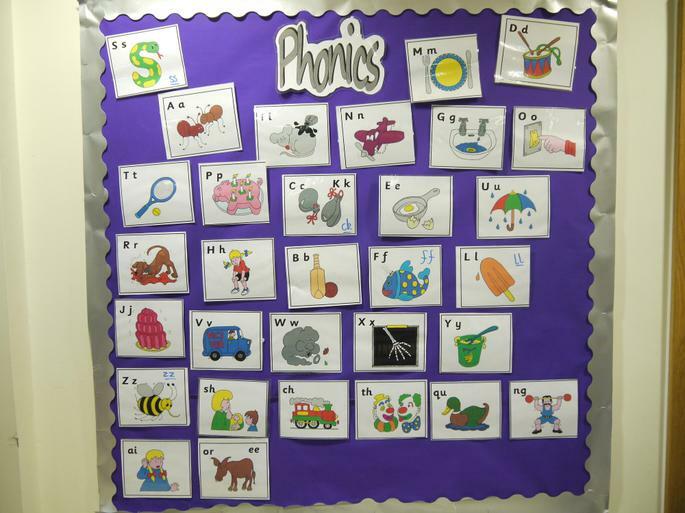 Wednesday 10th October 3.15-4.00pm: Phonics Workshop for Recent Parents and Carers in the school hall. See Newsletter Issue 1 attached below for more details. Wednesday 3rd October 9.00am: Reception Parents and Carers Coffee Morning in the school dining room. A chance to chat to other parents and staff over a coffee and slice of cake! It would be good to see you! CLASS FRIEND: Most of you met our class friends on your home visit, whether it was George the Giraffe or Harriet the Hippo. In time, your child will get an opportunity to take their class friend home and share your experiences. We ask you to record visits in a simple diary which we will read when the Class Friend is returned to school. If you are visiting somewhere exciting let us know and you can take the class friend along too! END OF THE DAY: The children have begun to settle into the various routines, please be patient with them (and us) if they come out without some of their belongings. We do our best to ensure they have all of their belongings before leaving the class. If they need to collect anything from the classroom we ask that you wait until all the children have been handed to their parents and carers. We want to ensure ALL children are safely handed over to the correct adult. FRESH FRUIT: Children can bring in a piece of Fresh Fruit to eat during afternoon snack. Water is available in school throughout the day in a named individual water bottle. PACKED LUNCHES: If you are providing a packed lunch for your child we ask that it is sympathetic to our Healthy Schools policy. For delicious, healthy and nutritious lunch box ideas please check out the NHS website, http://www.nhs.uk/Change4Life/Pages/healthy-lunchbox-picnic.aspx – thank you for your co-operation. ALLERGY ALERT! we have a number of children who are allergic to nuts, therefore we are a nut free zone in school and ask that lunch boxes do not contain them. This includes peanut butter, chocolate and hazelnut spread and any cereal bars containing nuts. Your cooperation in this matter is most appreciated. HOME LEARNING: We will begin home learning in a few weeks time, please comment and sign the home learning sheet. Home learning will be given out on a Friday and due in on Wednesday. LEARNING DIARIES: We are completing electronic learning diaries. All of our observations of your child's learning will be captured using an iPad and sent to a secure website where we are able to look carefully at their progress and plan specifically for their next steps. We would like to share your child's learning with you, if you request online updates this will be sent to your given email address (as per reply slip on Newsletter Issue 1 below). Feel free to make comments on the observations and send back to us, we are in partnership with you as your child learns. The ‘St Martin's Ice-cream’ went on sale at Pj's ice-cream parlour on the Weston Seafront from Saturday 21st July for the summer. This ice cream was designed by Ash and Elm class as part of a project they’ve been working on. St Martin's pupils and staff visited Pj’s Ice Cream Parlour throughout the summer to give them a try. Summer Reading Challenge: Why not take part in the ‘Mischief Makers’ challenge at your local library, your child needs to read 6 books, that is one a week. Please bring completed challenges in at the beginning of September we would love to see them! Seaquarium Educational Visit 6th June 2018: The Reception classes enjoyed their visit to the Seaquarium and Weston Beach. We learnt lots of interesting facts about the different sea creatures. The children all enjoyed digging on the beach followed with a delicious ice-cream at PJ's ice cream parlour. The childrens' behaviour was exemplary and they were brilliant ambassadors for St Martin's. Thank you again to our parent helpers who accompanied us on today’s visit. Royal Wedding Celebration Reception May 2018: Our Children really enjoyed the Royal Wedding Celebration. Our Royal Wedding Bake-Off competition was wonderful with some amazing cakes entered. Congratulations to our Winners of the Royal Wedding Cake Bake-Off Competition - 1st Prize went to Roman in Ash Class. The Reception classes both enjoyed a street party style picnic to end the days celebrations. Reception WOW Day: At the beginning of Term 5 the Reception classes launched their new topic – ‘What treasures can you find at the beach?’ with a Pirate WOW day. We had a fabulous day walking the plank, playing buried treasure and making pirate props for the role play area. Superhero Treasure Hunt Display: On Tuesday 17th April the Superhero models will be displayed in the hall from 3.00pm. This is your opportunity to view ALL of the superhero models which Ash and Elm classes created. Everyone is welcome to view our collection so please come along. Thank you to all of the children who took part and all of the businesses which offered their window space. It was a brilliant treasure hunt and lots of fun! Reception Mother's Day Assembly: The Reception Classes celebrated and thanked their Mums in a lovely "Supermum" themed assembly and enjoyed a special afternoon tea in the classroom. What a lovely way to appreciate our parents and carers! We will provide you with log in details in due course. Please look out for this in Home Learning Folders. Another website which is used in School to help children to practise their phonic skills. There is a free section of games on this website. Each classroom have their own computers for ICT.